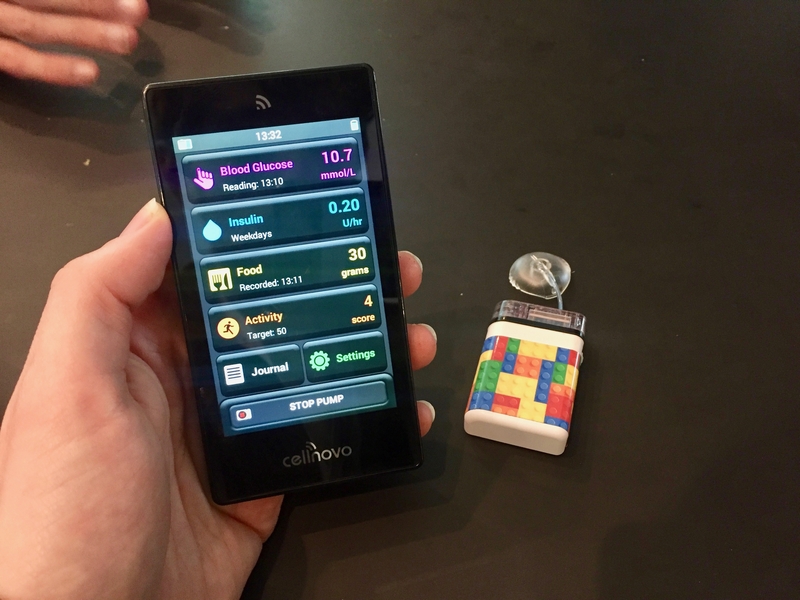 Cellnovo Mobile Insulin Pump Launches In Australia! 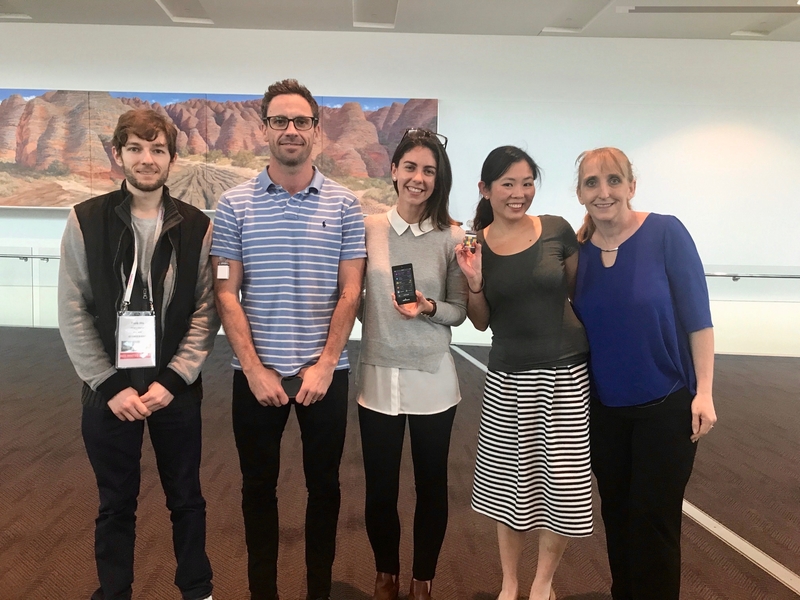 The Cellnovo Mobile Insulin Pump officially launched in Australia last week at the ADS-ADEA conference (ADS-ADEA disclosures are at the bottom of this post). The pump is being distributed by Medical Specialties Australia, and subsidised consumables will be available through the NDSS from October 1. MSA’s Diabetes Division Manager, Aaron Cook, was kind enough to come and meet with myself and a few other consumers last week outside of the trade hall to give us the scoop. 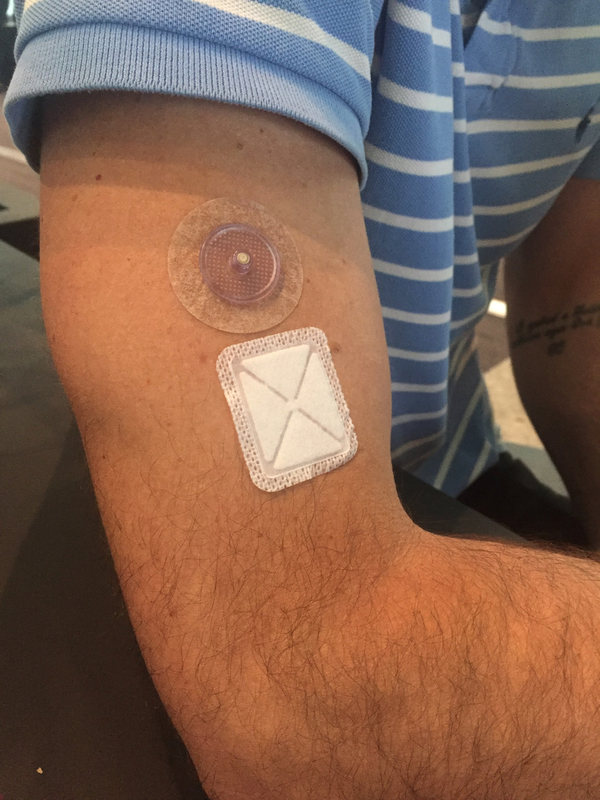 The Cellnovo system consists of a small insulin pump that sits on the skin via a Velcro patch, in close proximity to the infusion set. Tubing is virtually non-existent. The pump is rechargeable, rather than battery operated, with each charge typically lasting 3-5 days. There is a second identical pump included in the box, so that the user can charge one up while using the other. 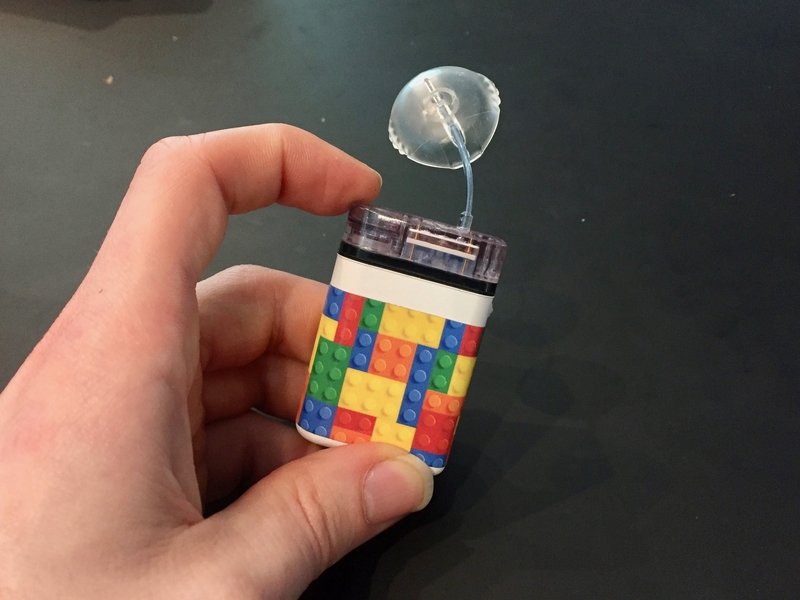 If you know me in person, you’ll know that I’ve dreamt of a touch screen insulin pump that I could control from my Smartphone (yes, I’m well aware of Looping and We Are Not Waiting). Frankly, the interface on my Animas Vibe looks like something out of the 1990s. So for me, the real selling point of the Cellnovo system is the touch screen mobile handset that connects to the pump via Bluetooth. The screen is bright and colourful. There are menus for insulin delivery settings, bolus calculations, activity tracking and food databases. 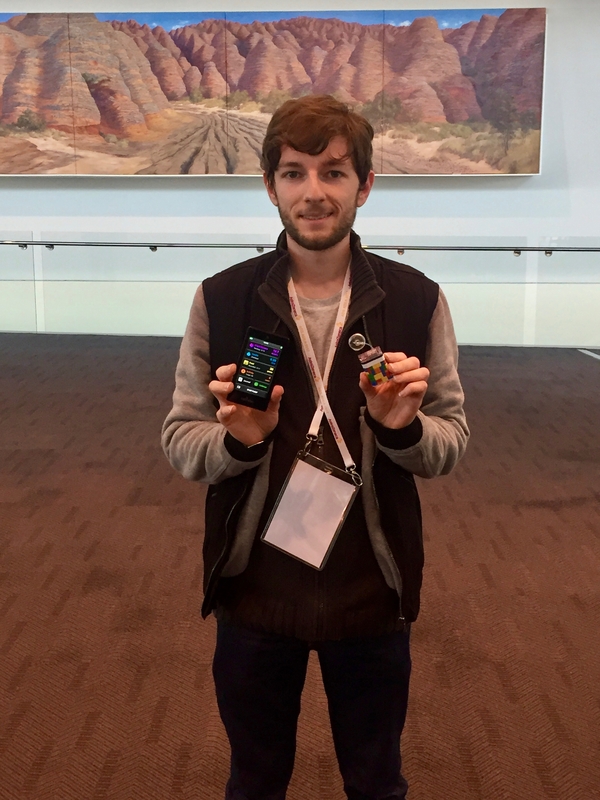 The handset also has a built in blood glucose meter, which uses Accu Chek Performa strips. There were a few choices of infusion sets, with 5.5mm being the smallest. Aaron informed me that all infusion sets are 90 degrees, which is an issue for me personally as I prefer my 45 degree angled ones. However, I was encouraged to hear that there are options for manual insertion rather than insets. Another consideration was the minimum basal profile being 0.05, rather than 0.025. To put this into perspective, my pump gives me the option of delivering 0.300, 0.325, 0.350 or 0.375 units of basal insulin per hour. The Cellnovo would reduce this to 0.300 or 0.350 units of insulin per hour. For some this might not be an issue, but during overnight fasting 0.025 does make a massive difference between a steady or a steadily dropping blood glucose level. I’m also a little concerned about sleeping or lounging comfortably with the pump stuck to my stomach, so placement of the infusion site would be a big consideration. That being said, consumers overseas are happily wearing the Omnipod tubeless pump in similar fashion. Diabetes Educator Fiona was also questioning how well the pump would stick to the Velcro patch, however I thought that it indeed looked very tough. Aaron describes Cellnovo as a medium sized startup company. They have been in the UK for around 2 years. 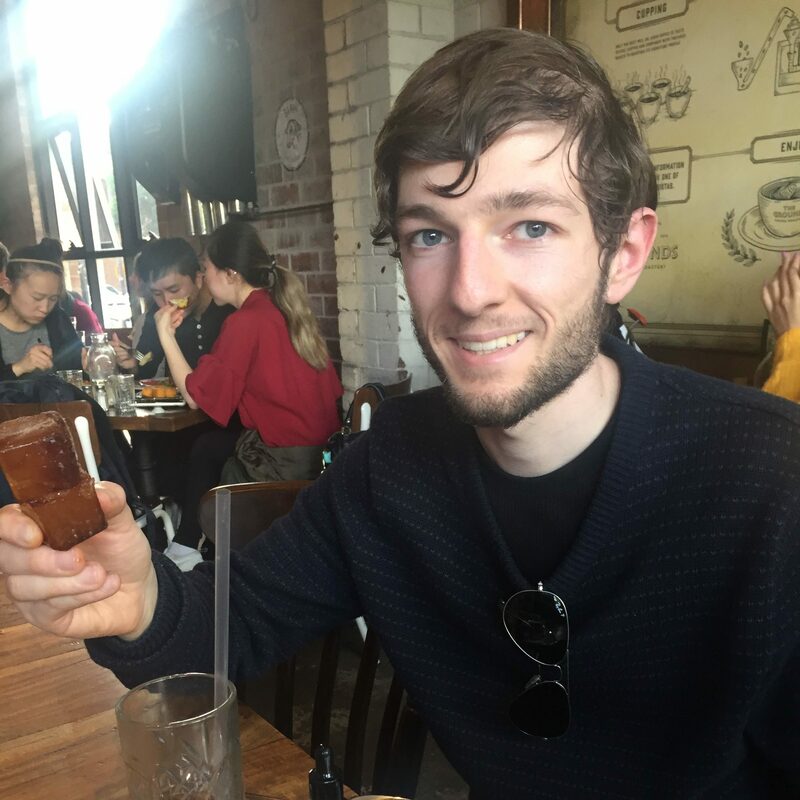 Aaron is currently the only sales representative for Australia, and is basically travelling where the demand takes him. I am a little concerned around how well they will be able to handle customer service issues, although I am told this will soon change. Updated: I am told there will be a full customer service team in the office to deal with any issues. They are the same team who looked after the Cozmo pump. It is really, really exciting that we have a new insulin pump option on the market. I can’t wait to hear from people who do decide to take up this pump, and whether it would be a worthy option for me to consider in two years time. While it won’t be for everyone, I believe that this might be just the thing that some have been waiting for. From the left: Me, Aaron, my friend Tammy, fellow blogger Ashley and Victorian Diabetes Educator Fiona. Excitement that only someone with diabetes would understand! I am a little skeptical. I use about 150 -170 U in 3 days. I hate calling it to close, so the capacity might be an issue. Well its not meant for everyone and I am glad to see a new option, even if that option might not be for me.